Having a physical copy of your book to hold is an amazing feeling. From a marketing perspective, you should also consider releasing your hard work in audio form. You may not realize that the audiobook industry is a big industry, in fact, it is a billion dollar industry. 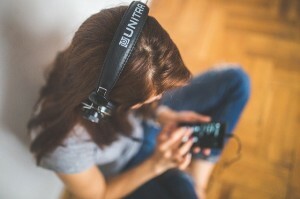 With sites like audible and iTunes, many consumers are able to access audio versions of their favorite novels with ease. Many readers are making the switch over to audiobooks because they can “read” while on the go. In a time where many book lovers are too busy to sit down and read, they are now opting to listen to their books on their daily commute or while doing chores. It even turns non-readers into book enthusiasts as they do not have to read it on their own. By having an audio book option, you continue to grow with and expand your audience. If you need the voice to capture the feel of your book, look to Mealie Haynes. An experienced voice actor, Melanie will ensure to convey the emotions of your words. For more information about my services, peruse my site.